serves the academy and the church by publishing works that further the pursuit of knowledge and understanding within the context of Christian faith. 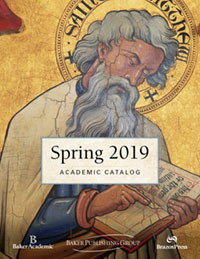 Building on our Reformed and evangelical heritage, we connect authors and readers across the broader academic community by publishing books that reflect historic Christianity and its contemporary expressions. Our authors are scholars who are leaders in their fields, write irenically, and display a healthy respect for other perspectives and traditions. Our goal is to publish books that are notable for their inherent quality and deemed essential reading by students and scholars.